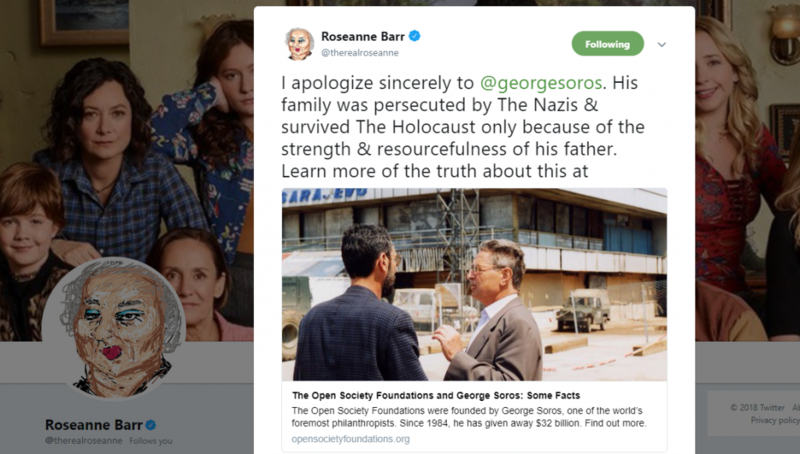 Roseanne Barr apologised to Hungarian-American billionaire George Soros for calling the Jewish philanthropist a Nazi collaborator. The tweet included a link to information about Open Society Foundations. The original Soros tweet was posted at the same time as Barr’s racist tweet mocking Valerie Jarrett, a former adviser to President Barack Obama and an African-American, which led to the cancellation of the reboot of her popular sitcom on ABC. The lie that Soros collaborated with the Nazis stems from several weeks that he spent with a Hungarian official when he was 14 — a stay that his father arranged to protect his son. Most of the time was spent in the official’s apartment, but Soros accompanied the official, who supervised the confiscation of Jewish property after families were deported, on a single outing. The official introduced Soros as his godson and Soros did not participate in the inventory taking. Soros also served two days as a courier for the Judenrat until his father learned that his job was to deliver deportation notices to Jews. That account comes from a book written by Soros’ father, who also noted that Soros warned the recipients not to turn up to the designated address. 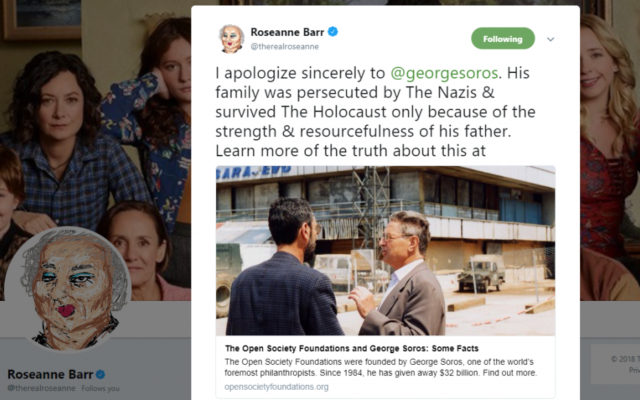 The Soros tweet by Barr, who is Jewish, is in some circles considered Holocaust denial. “Attempts to blame the Jews for causing their own genocide” is classified as one form of denial by the International Holocaust Remembrance Alliance.